(ST. LOUIS, MO) One thing has been a constant for the St. Louis Surge’s home campaign so far in 2014. Every contest for the women’s semi-pro basketball franchise has been a nail biter deep and the hostesses have utilized late rallies to secure victory. Propelled by a 12-0 fourth-quarter lockdown, the Surge out-muscled the Illinois Shooting Stars, 73-62, Saturday night at UMSL’s Mark Twain Building. The 11-point victory netted the Surge (8-1) its fifth straight victory and maintained the team’s top spot in the Mid-West Division of the Women’s Blue Chip Basketball League (WBCBL). If there’s a word to define the Surge during its current winning streak, it would be “resilient.” When pushed late, the locals have been able to face adversity successfully. For the third straight home game, the Surge has been able to thwart comebacks by the visitors. In the first quarter, the Surge sported an 8-4 lead four minutes deep after Lucy Cramsey’s three-pointer. She kept the differential at four, 12-8, with a bank shot a little over a minute later. The Shooting Stars kept pace as the quarter progressed and pulled the margin to 18-15 with 1:15 left following Suzanne Grossnickle’s trey. Surge forward Devonna Smith nailed a 12-footer as the clock reached goose eggs, which gave St. Louis a 20-15 edge after one quarter. Paced by three-pointers from Katie Yohn and Hannah Weedman, the Surge pushed its lead to 26-19 with 6:05 left in the second. St. Louis’ offense then experienced a power failure and Illinois, capitalizing on free throws, mounted an 8-1 rally over the next three minutes. By converting all eight shots from the charity stripe, the Stars tied the game, 27-27, with 3:15 left in the quarter. The Surge countered with a 7-0 run, punctuated by Jaleesa Butler’s bucket, that gave the locals a 34-27 lead with 2:05 left. Scoring in the second quarter was tied, 16-16, and the Surge maintained a five-point lead, 36-31, at intermission. Illinois’ 9-4 run in the opening minutes of the third quarter, capped by Grossnickle’s three-pointer, tied the score, 40-40, with 5:40 left. Both teams kept pace with each other for the remainder of the frame and the Surge clung to a 53-52 lead heading into the final quarter. After the Surge’s Rebecca Harris hit a 10-foot jumper thirty seconds in that extended the lead to 55-52, Illinois posted four points straight. Grossnickle’s eight-foot hook with 8:00 left gave the visitors its first lead of the game, 56-55. This would be the first of eight lead changes over the next four minutes. 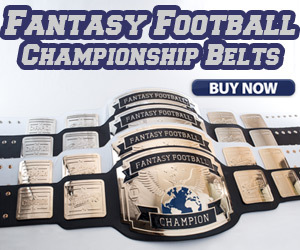 Like heavyweight prize fighters trading punches, both teams continuously flipped the scoreboard to its favor with every respective bucket made. Cramsey pumped in a 13-foot jumper with 4:25 left that helped St. Louis regain the lead, 63-62. The Surge then displayed the aforementioned resiliency and kept Illinois scoreless for the remainder of the contest. Following a pair of free throws from Cramsey that gave the locals a three-point edge, Leah Kassing connected with a pair of 10-footers, which expanded the lead to 69-62 with 1:05 remaining. Stifling defense stymied the Shooting Stars down the stretch as Surge guard Bianca Beck pounced on an errant pass with under a minute left and charged down the court for a lay-up that secured victory. 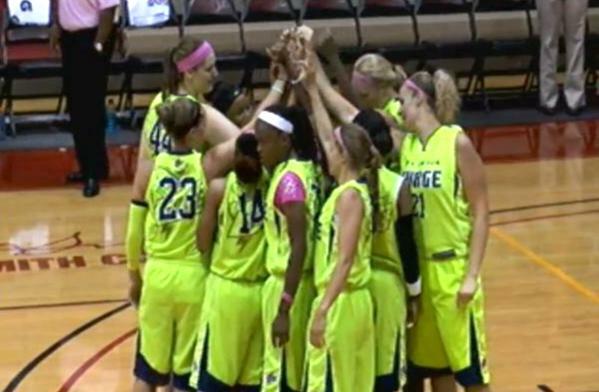 The 12-0 late-game rally resulted in the Surge’s 73-62 win, which maintained the team’s undefeated streak at home (3-0). Ten players recorded points in the hostesses’ ledger. Harris’ 16-point output was followed by Cramsey’s 14 and Butler’s dozen. Grossnickle paced the Shooting Stars (4-4) with 26 points. 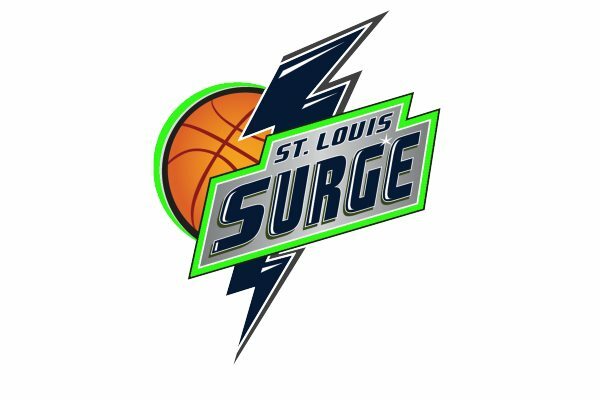 The Surge continues its home campaign against Missouri Arch Angels (1-8) at UMSL this Saturday night at 7:05 p.m. For tickets, go to stlsurgebasketball.com. SURGE SCORING: Rebecca Harris 16, Lucy Cramsey 14, Jaleesa Butler 12, Leah Kassing 7, Hannah Weedman 7, Bianca Beck 6, Gabriella Green 4, Katie Yohn 3, Felicia Loggins 2, Devonna Smith 2. 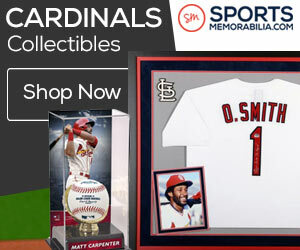 Recap, and its respective feature image, constructed from online footage courtesy of the St. Louis Surge.